So, I'll find out the name, model and year, for now I'll just post a few pics. As I said in the intro, it is in pretty bad shape in some places, overall not that bad. I thought about removing everything rotten and replacing with fresh plywood, but around the windows will be tricky, also not sure if the exterior "wall" is actuly a one piece thing along with the interior. I hope it's not, so I can safely remove it. I'll see that these days. The last one is in the front. All others are from the back, or the "room". Not that great as pics, didn't think I'd ever show them to someone, I'll make a short video detailing all these spots a bit more. That's it for now. As I have to make some kind of roof above it so I can work on the inside without rain going in too..
Any recommendations for what to use on the outside, keeping in mind I don't really care how it looks, as it will be parked for ever, the point is to make it water proof so it has nowhere to leak. Ps: will update the title with it's name when I discover it. Poor thing has been so neglected, looks like a major project. Love those windows that open out! Do you have pics of the exterior? What is the exterior made of? Could you possibly caulk and seal the leaky parts and then work on the interior? So, the year is probably between the 1970-80's. The name is Latra, not sure about the actual model, I'll try to dig it up from somewhere. Here are the pics of the exterior, which seems to be in pretty good shape. The water seems to be protruding from screw holes and lights. +Bonus Pic of my car, a 1990 Renault 4 GTL. So, any tips on how and what to do? What not to do and what to avoid? I definitely wouldn't use any type of generic/home use silicone sealer. Best to get the caulk putty that body shops use and that the RV manufacturers use. It comes in boxes of strips stuck on wax paper or in rolls. You peel the bead off the paper backing and place it under the lights or trim and then screw them down. It stays tacky and flexible for a long long time. I thought about using that tar type of paint(bitumen) comes in white too. It's highly durable and waterproof. I'd also use it for the interior, to cover all walls and cracks as it's viscous and can fill them up nicely. I'd then put osb boards and cover the interior with that, obviously painting it with the same stuff on the side that goes to the wall. The side facing me would remain plain wood or I'd potentially paint it in a bright color. I wouldn't lose too much interior space since it's thin, perhaps 2 or 3 centimeters. Would you recommend this? Also, would you say it's worth taking down the windows and putting them back? I'd say no, since I could damage the rubber and overall mess it up. Perhaps just use silicone around them after I place the osb panels? And of course do the same siliconing on the outside around the windows. Thank you for your time and and help. I would really focus on the outside. Normally sealing on the inside shouldn't be required, it may actually be a problem as you want the walls to "breathe", humidity build up in the wall can cause mold and mildew. Taking out the windows depends on how in depth you are going on the restoration. If you could get new window rubbers and were repainting the exterior and making it like new again thats one thing. If you are just looking to stop leaks then you can just reseal. If the window is still firmly installed then just a bead of RV Sealant around outer edge could be your fix. 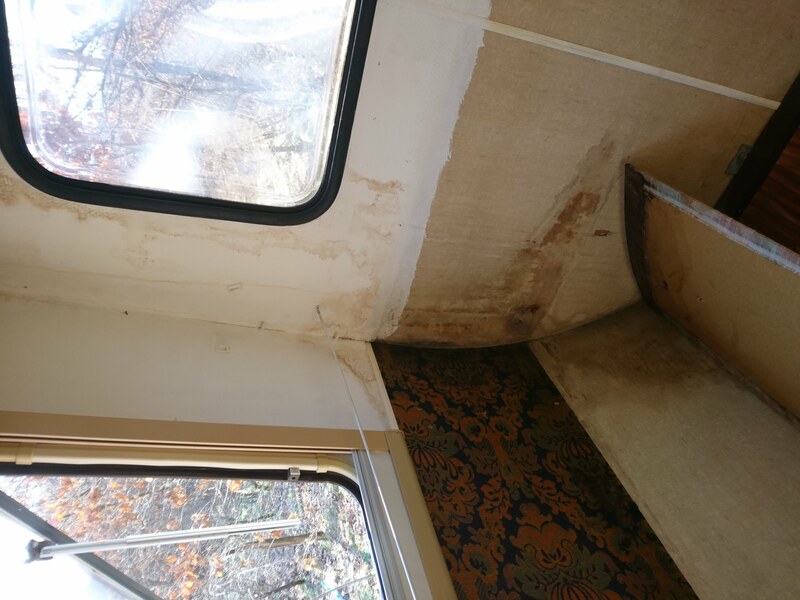 I there is any play in the window to RV install then you most likely need to remove window and put a new piece of butyl tape around window and reinstall. There are some good YouTube videos showing how relatively simple this is. LAP sealant comes in self leveling for horizontal surfaces like the roof and regular for all other areas. Make sure you get the appropriate one, the self leveling is thin and runny, the regular is thick and won't run or sag when used on vertical surfaces. Here is the strip type caulk I mentioned. This is great for around lights and such that are mounted on the exterior. The strips are soft and peel easily off the wax paper, you can pull off the length you need and roll it in your hand if you need a thinner bead. You stick this around the hole on the RV body or on the back of the item you are installing and then install screws sandwiching the caulk between the body and the item. 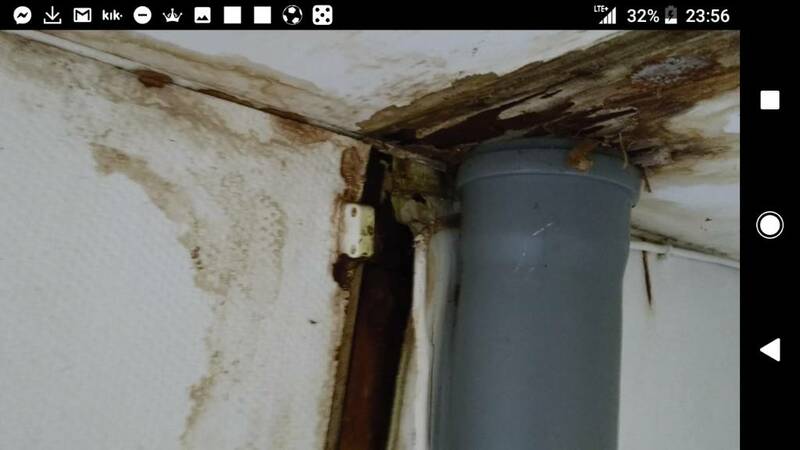 Hm, that's a good point, sealing the walls on the interior will most likely cause mold, as the place the RV will live is very humid during winter and doesn't get too much sunlight. I don't think I have to go in such depths with the restoration, the windows are holding pretty good, no much movement. Also, I'd be living in it when I want to, a week, a day or a month, when and how I feel like it, basically, so it needs to be the best it can be. Would you say covering the interior with osb/plywood sheets is a good idea? I like the fact it'll be all wooden Inside, and it's also the easiest way to refresh it on the inside. Seems like anything you want to do on the interior would work since it's really just to cover any insulation and for cosmetic purposes. Welcome back to the challenge. Nice pic, looks like a fun project. 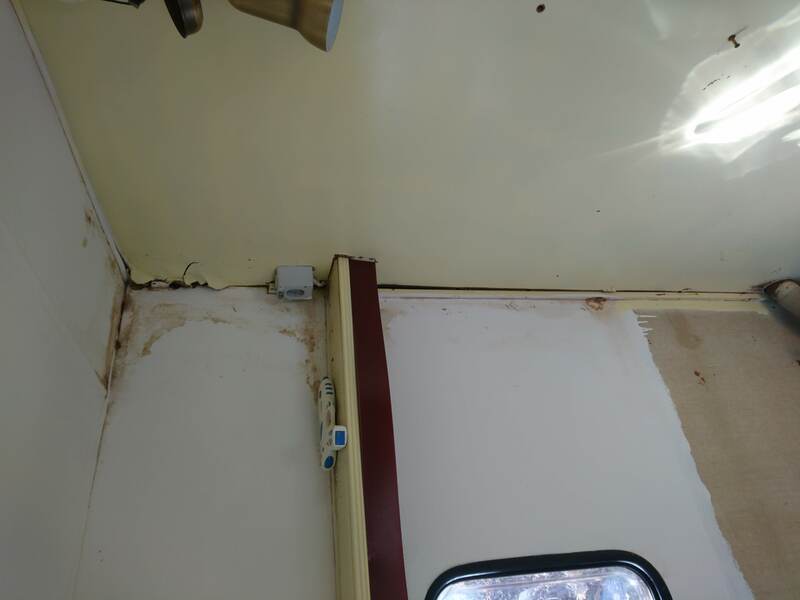 if you paint the interior I would use a low odor - exterior paint that resists mold and moisture because as we all know RV's get both, not like a home that has a 6-8 inch barrier. I got the valspar exterior white for the inside, not the top of the line but just enough for mold.